This photo has been circulating the web lately with a lot of speculation about whether it’s real or fake. I questioned it myself because it sure does look real! 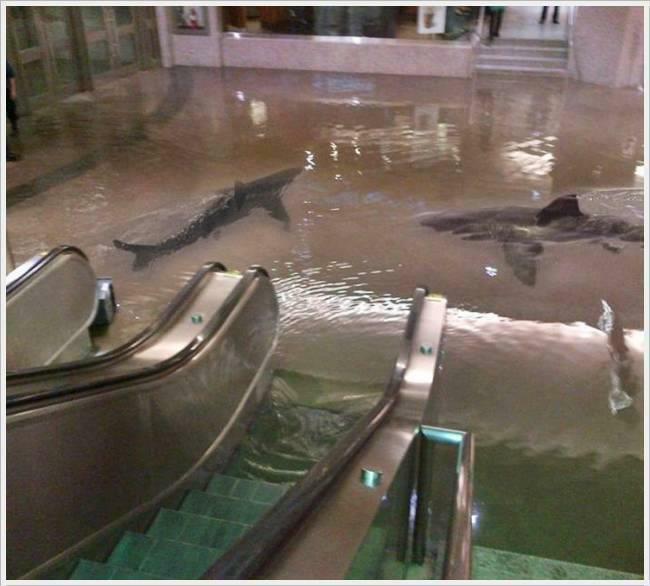 Many people thought it was taken at Kuwait’s Scientific Center, where there is a shark tank, saying that it had collapsed. (Got to love rumors!) 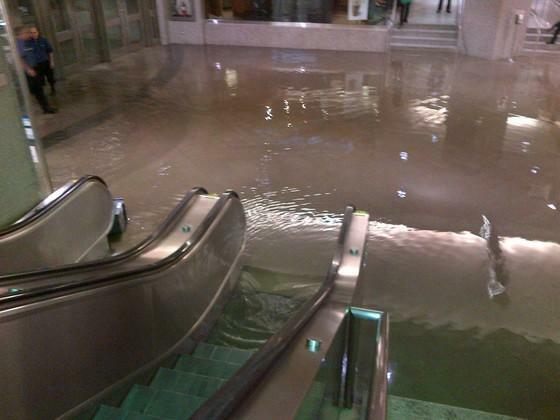 In reality, this photo was taken at Toronto’s Union Station, after it was shut down for several hours on June 1st, 2012, due to the flooding of rainwater and sewage. Gross! The first indication of fishiness, (no pun intended), was the fact that the officer to the left is clearly standing on or above water, so how would sharks even be able to be fully submerged just a few feet to the right? But it was a good attempt I must say!